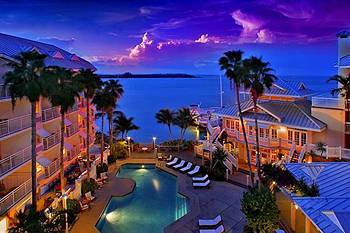 If you are looking for luxurious accommodations in Key West, the Hyatt Windward Pointe Resort is an excellent option. The resort sits on the southern shores of the island and offers splendid ocean views. Rooms feature fully-equipped kitchens, master suites and even a private balcony where you can stargaze using a telescope. The luxury doesn’t end with the in-room amenities. On-site, an infinity pool adds to the resort’s upscale atmosphere. Luxe details like stainless steel outdoor BBQ grills, a hot tub and poolside snack bar ensure you’ll never want to leave. 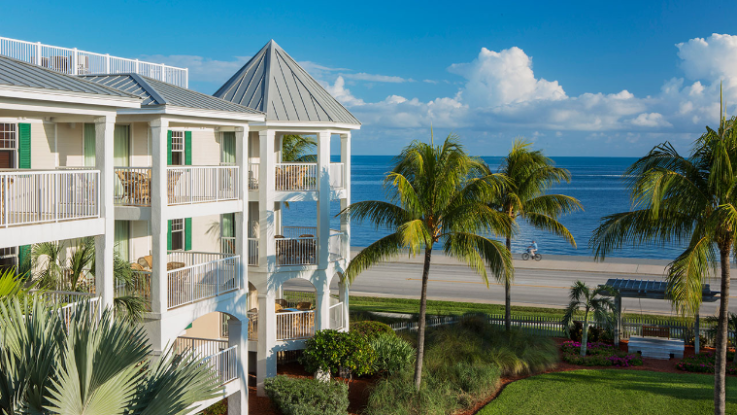 Just across from the scenic Key West Tropical Forest & Botanical Garden lies the Hyatt Beach House Resort. Decorated in soft, beach house tones all while featuring the comforts of home, this makes your vacation an absolute treat. Rooms include jetted spa tubs, full kitchens, separate bedrooms and a comfortable screened-in balcony. Two on-site dining options especially complete the luxurious features of this resort and are sure to please a variety of palettes. The SHOR American Seafood Grill serves up fresh seafood dishes and award-winning desserts in addition to breathtaking views of the ocean. You can catch breakfast, lunch, or dinner. If you’re looking to stay in instead, guests can order in a delicious meal to be served in their room. Visitors who don’t want to leave the resort can grab a cocktail or lunch at the Blue Mojito Pool Bar and Grill. The casual poolside eatery also serves fresh juices, seafood, and tropical cocktails. It’s signature drink, the Blue Mojito, consists of key lime infused rum, curacao and mint leaves. The Hyatt Sunset Harbor exemplifies the Hyatt Key West experience by providing excellent accommodations just steps away from the island’s most exciting cultural attractions. The resort grounds overlook the stunning Key West Harbor and neighbors the Truman Little White House, the Mel Fisher Maritime Museum and Mallory Square. One and two-bedroom units offer the privacy and amenities you need to make your stay in Key West as comfortable as possible. Fully-equipped kitchens feature convection ovens, microwaves and coffee makers making your mornings as easy as back home. Though the resort does not have on-site dining, there is a wide array of dining nearby including classic Key West conch fritters, Smokin’ Tuna Saloon and the wildly eccentric, DJ’s Clam Shack. With ownership at a Hyatt Residence Club resort, members can have the flexibility and savings for vacations every year–including desirable locations like Key West. While staying in a Hyatt Key West resort, make sure to take advantage of the charming cultural experience of this southern Florida town. History buffs, adrenaline junkies or the foodie in your family can all enjoy something here. 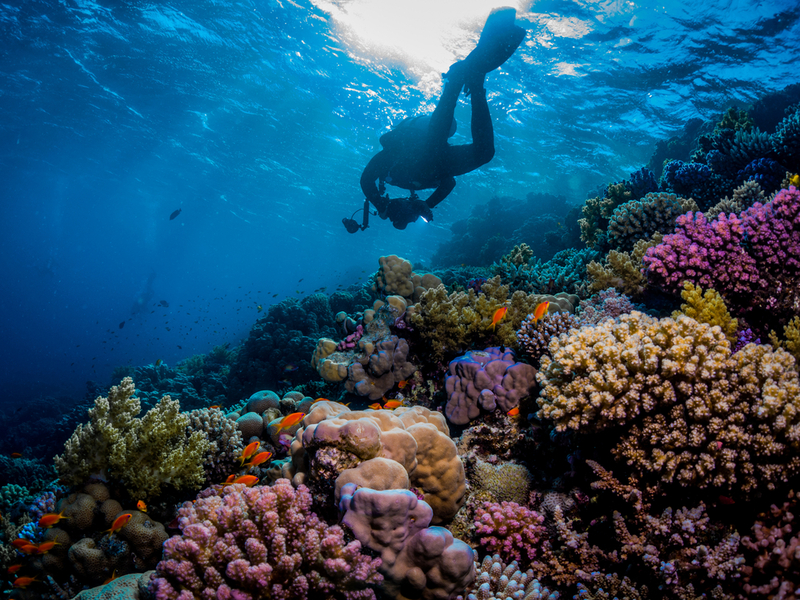 Dive Key West offers unparalleled services for novice divers looking to experience coral reefs, as well as experts expanding their experience. Key West is home to the world’s third largest barrier reef, with the outer reefs reaching 45-foot depth. Go on a night dive to witness crabs and lobsters moving around the ocean floor or see parrot fish sleeping. While there are plenty of of historical sites to see above the ocean in Key West, underwater is a whole other opportunity. Dive Key West hosts wreck dives as well. Travel back to the Cold War era where the Vandenberg troop transport lies at a hundred-foot depth. There’s nothing like getting a bird’s-eye-view of the bright blue ocean surrounding Key West. 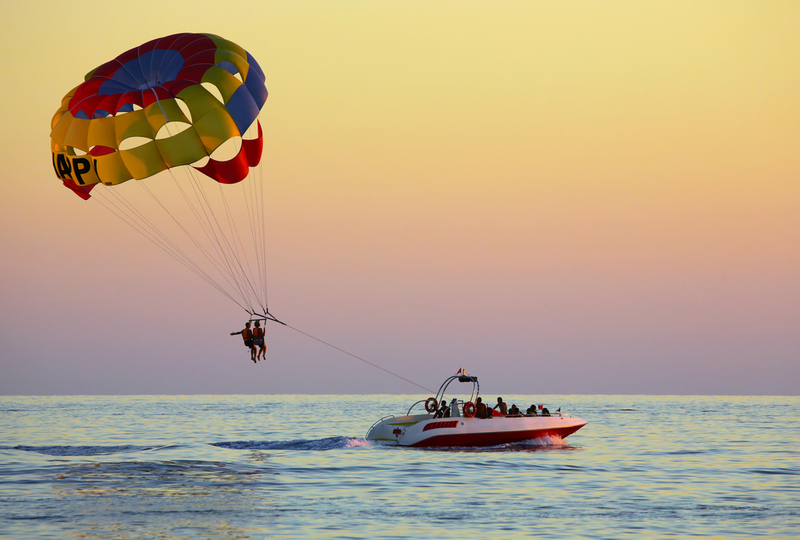 Parasailing with Fury will give visitors the opportunity to have this breathtaking experience. Departing every hour, grab a partner (or two!) and take to the sky. Looking to keep your feet on the Earth’s surface? Perhaps renting a jet ski is more up to your speed. A scenic 28-mile trek awaits the thrill-seekers in your party. With little ones, scuba diving or parasailing might not be an option for getting the greatest views Key West has to offer. Go on a catamaran trip with a glass bottom and windows-to-reef openings. 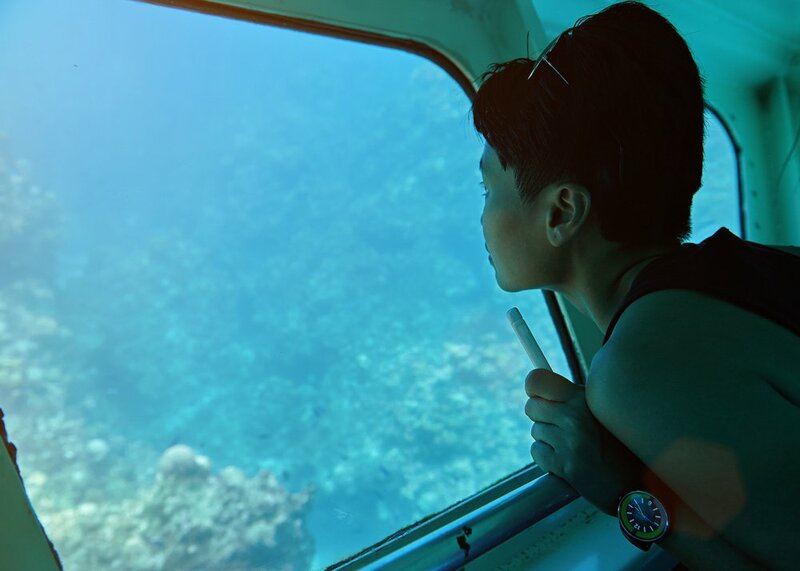 On a glass bottom boat tour, guests can still experience seeing the native coral reefs that attract so many eco-tourists. The kids would definitely also love a dolphin watch tour. See Bottlenose dolphins in their natural habitat, jumping through the waves off the shores. With a catamaran, tour goers get a more up-close view of this natural phenomenon. There is so much to do on-foot in Key West, especially for the history buffs. Visit Ernest Hemingway’s home, nestled in Old Town. One of America’s most respected and honored authors, Hemingway wrote and resided here for over ten years. The Audubon House and Tropical Gardens is another worthwhile visit. Built by a wealthy sea captain in the 1840s, the Audubon House is furnished with 19th-century art and decor. Outside is over 200 orchids that attract a colony of beautiful butterflies. For a free adventure, Henry Flager’s Overseas Railroad is a must-see for completing a Floridian historic tour. If you plan to visit St. Augustine or have already, go full-circle with the destructed remains of Flagler’s overseas railroad tracks. While driving the Overseas Highway, take notice of the miles of old transportation that took the early 1900s by storm. 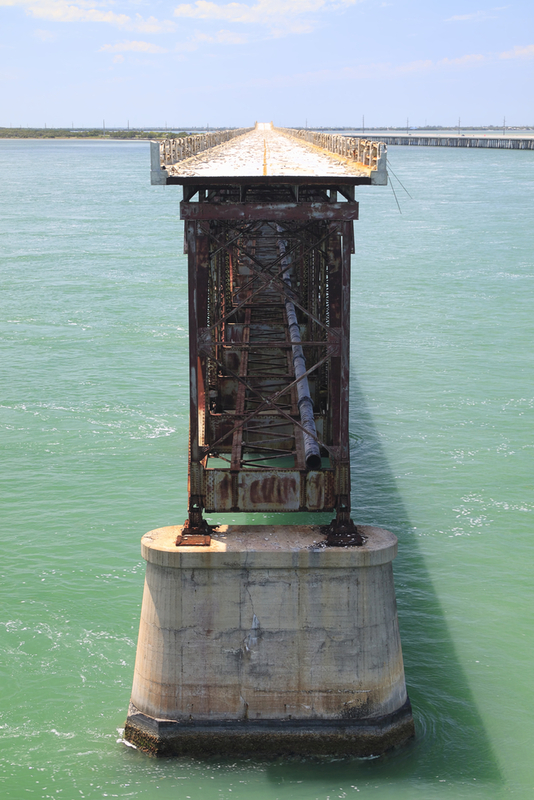 Other spots where you can get a closer look are Bahia Honda State Park or the famous Seven Mile Bridge.